Did you know that service automation technology can support all of your company’s goals? From boosting customer experience to driving revenue, it’s crucial to demonstrate the value of facilities management to all functions of your organization. Join us on April 3, 2018 at 1 PM EST for a live webinar where ServiceChannel customer, CVS Health will discuss the importance of adopting FM technology and its impact across the company. 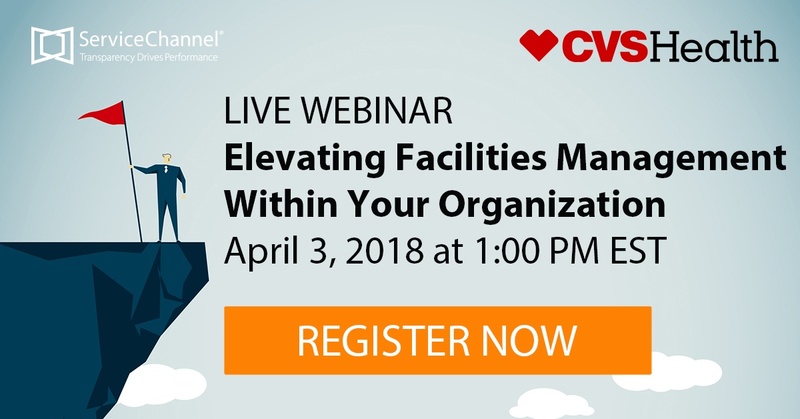 During this webinar, Deb Millette, Sr. Operations Manager and Joe Garland, Facility Administration Manager from CVS Health will specifically focus on FM challenges, including the importance of elevating facilities management across the organization. Register here for the live webinar on April 3 at 1:00 PM EST.